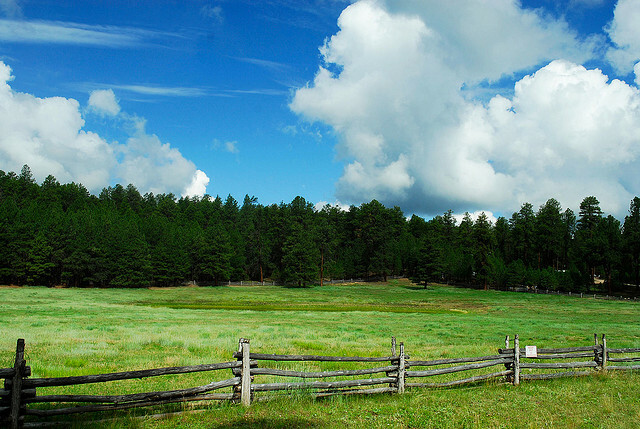 Imagine yourself in the middle of a meadow on a summer afternoon. Hear the soft buzz of the bumblebee, the rush of wind-blown grasses, and the trickle of a nearby stream. Feel the warmth of the sun on your face. Taste the tart sweetness of the lemonade you sip from the glass in your hands. Feel the chill of the ice in the glass as condensation slides down the sides of it. See the sky—impossibly blue, bright, and cloudless. Reach out to touch the smooth wooden railing of the front porch. Come back to the present. Were you in the meadow? As writers, one of the hardest parts of our job is convincing our readers to dive into our stories. We want them to become fully immersed in the worlds we’ve created. We want them to see, hear, taste, touch, and smell the reality of what we’ve put on the paper. Characters, dialogue, and plot are important, but setting is what makes the prose come alive for the reader. You want to get your audience hooked? Develop a fully-dimensional setting. Start with sight. When you walk into a room, sight is the first sense activated in the brain. You notice what’s in front of you because it’s at eye level. The same should be true in your writing. If you want your audience to be in the desert with your characters, show them sand, cacti, and perhaps a snake. Once you develop sight, you can move on to the other senses. Hearing should come next. What do you want your readers to hear? Rushing water? Crackling fire? The dull roar of a crowd? Whatever it is, be sure to describe it in as much detail as possible. Be unique. Find fresh ways to describe the soundscape of your setting to grab the audience’s attention. The readers will feel like they’re more involved in the story if they can see and hear what’s going on. Smell is the sense with the closest ties to memory. A single scent can be powerful enough to take you back in time all the way to your childhood. For me, that scent is chlorine. I grew up in Florida surrounded by pools. The smell of chlorine is all it takes to bring my mind back to summers spent splashing around with my friends. Describe the smells inside your setting. Use sweet, fresh smells to evoke pleasant feelings and acrid, strong smells to evoke unpleasant ones. Smell can do a great deal in bringing out your setting. Touch. How does your character interact with the setting? Give the reader the same experience. If he’s petting a cat, let your reader feel the soft fur of the animal’s back. If he’s touched a hot stove, describe the sharp pain of the hot burner. Touch is a sensory detail that is often left out. I would encourage you to utilize it whenever and however you can. Taste is arguably not as essential as the others, but nevertheless, it is worth mentioning. We are not constantly tasting things. The same is true for your character. If he is walking down the street and not eating or drinking anything, you don’t need to tell us anything about taste. If he’s digging in at an all-you-can-eat buffet, the reader is going to be much more interested in how everything tastes. Use taste when it makes sense to draw your readers in. Utilizing the five senses is one way out of many to encourage your readers to dive into the world of your story. Sight, smell, hearing, taste, and touch can make your setting come alive. Armed with this knowledge, you should be able to put your audience right where you want them–an encourage them to stay for longer than they’d had in mind.